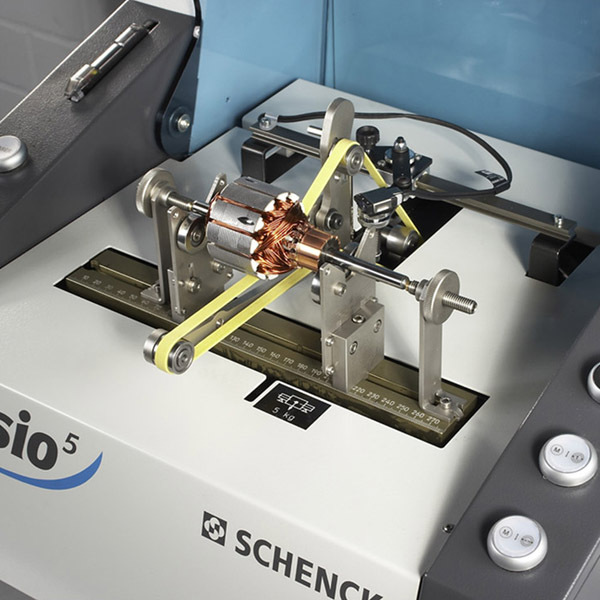 Whether for small or very small rotors, the Pasio 5 is your flexible partner in the workshop and laboratory, in the repair field or in small-series production. 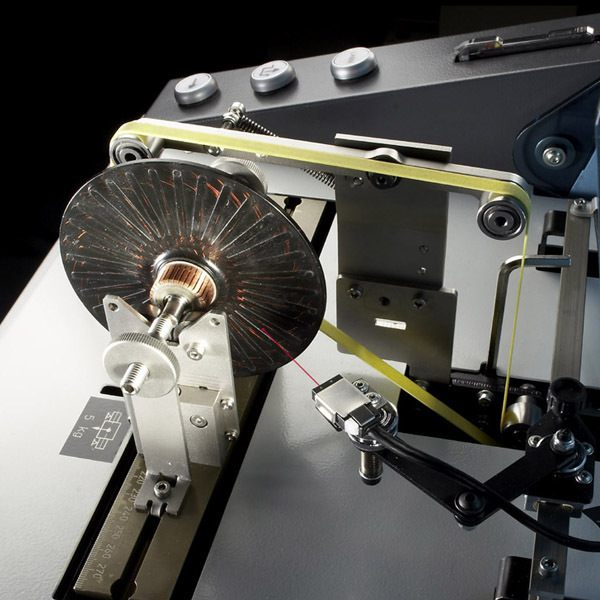 This is made possible by the flexible drive technology – for very small rotors, the belt drive is replaced by an elastic drive belt. The maximum mass sensitivity is achieved by the use of prism bearings. By slight adjustment of the laser scanning head, you can achieve an even more accurate angle position – a simple stroke in a contrasting colour is often adequate for a reliable measurement. 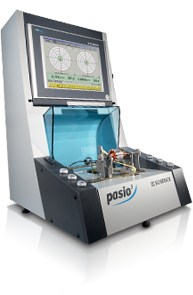 The Pasio 5 enables accurate and fast unbalance correction due to the automatic angle positioning to the correction points. 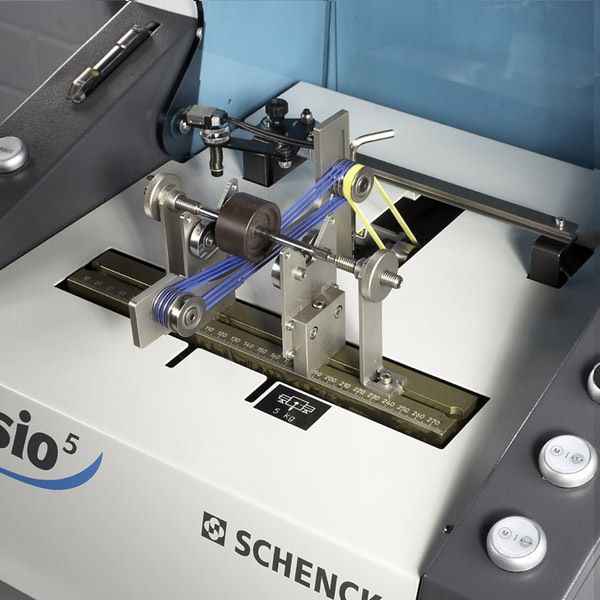 It is particularly suitable for magnetised electric armatures, since the non-magnetic material of the machine prevents undesired reciprocal effects which produce falsified measurement results. millionth of the mass of the rotor.